Apollo presents refined engineering and optimized performance with the NEW PRECISION-6 HVLP Turbospray System. 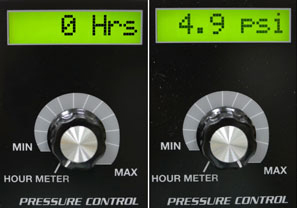 PRECISION: Pressure Control System (PCS™) controls motor speed, voltage and amperage adjusting automatically for altitude and barometric pressure assuring precise atomizing pressure worldwide. NEW: Throttle Back Control (TCB™) – Permits highest available flow pressure and increased motor longevity. 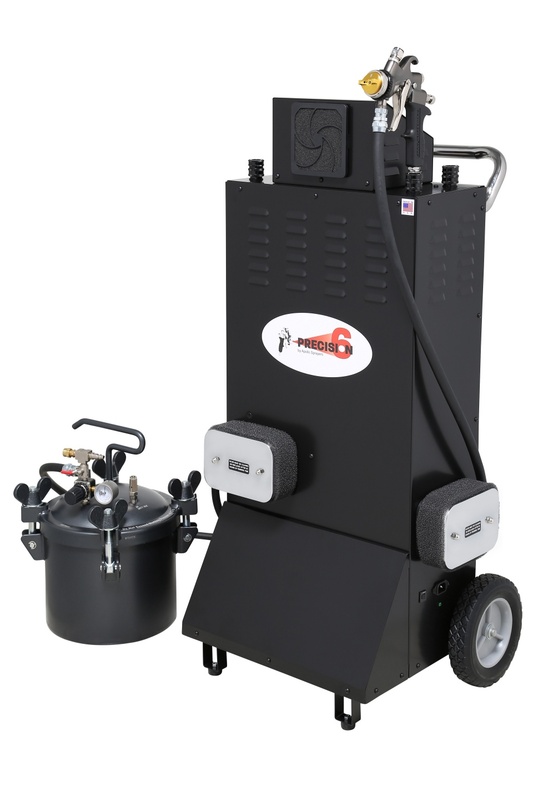 Apollo Sprayers Model PRECISION-6 is 30% more powerful than a 5-stage model, comes equipped with the All-New Atomizer 7700 and our Handi-Hold® Spray Gun Docking Station, an Apollo innovation. 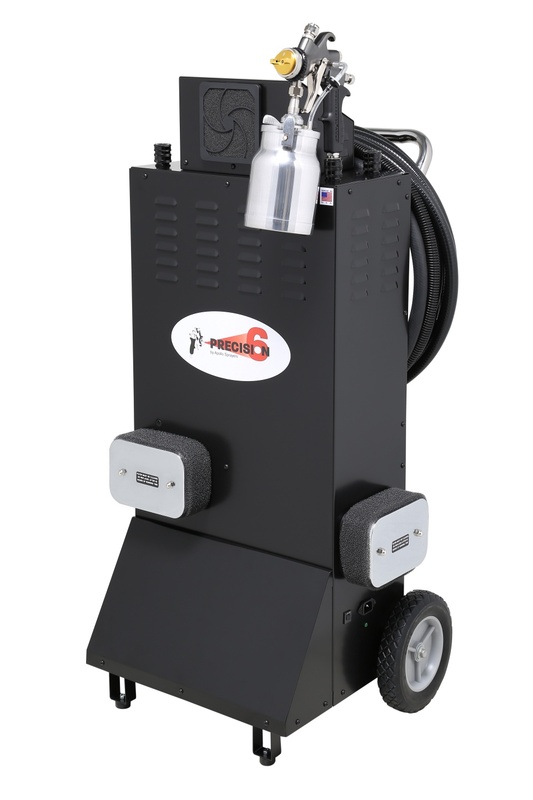 Store, hold or transport your spray gun in a vertical position with no risk of knocking or falling over. It’s ready to spray when you are. The enhanced power and exclusive features of the PRECISION-6 put you in control of the most POWERFUL and most ADVANCED TrueHVLP turbo spray system for industries and applications demanding precision HVLP technology for the perfect finish. 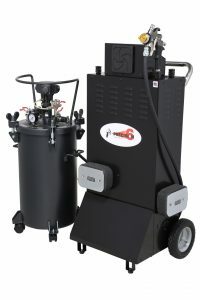 Our unique high performance POWER BOOST TECHNOLOGY, PBT™ offers the highest maximum attainable HVLP TurboSpray pressure, which is 30% more powerful than a 5-stage model and is able to spray the newest and latest coating technology, including high viscous, high solids products. 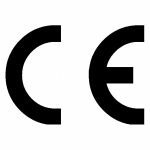 Use the Precision-6 for the widest range of coatings, solvent or waterbase, clear or pigmented as well as specialized materials: faux paints, gelcoat, latex (emulsion) and multi-spec. The Precision-6 is available with a pressure pot or cup gun. 37 foot (11.28 meter) flex air hose.